Your interest in ayahuasca makes the beginning of your journey into the ancient world of ceremonial plant medicines. This was a world that all our ancestors knew well. Maybe that’s why the ayahuasca ceremony feels like a spiritual homecoming for so many people. Quite naturally you want to learn as much as you can before you decide to have the experience yourself. Paradoxically, this stage is a prerequisite for everyone’s journey to ayahuasca, and yet paradoxically, the more you learn about it the less you know. Nothing can prepare you for the actual experience. That’s what makes it so extraordinary! 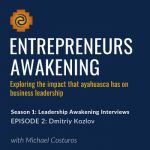 I have lead people to ayahuasca who have had countless psychedelic experiences with a whole host of substances. I have lead people who have never had a psychedelic experience. It makes no difference what so ever. So, of all the documentaries you could watch, and because you can’t stop yourself from consuming media about ayahuasca, these are the ones I highly recommend. They will deepen your understanding and appreciation of what plant-based psychedelics can do for you when done in a therapeutic, ideally traditional, context. Specifically ayahuasca. What makes these better for high functioning entrepreneurs? They are not (very) evangelical, they feature mature professionals using ayahuasca for the first time, and they are (mostly) focused on healthy participants rather than ones who are ill seeking healing. If you have been wanting to introduce your interest in ayahuasca to someone, watching one of these documentaries together is a great start. I highly recommend watching them in the following order. Free with email sign up. 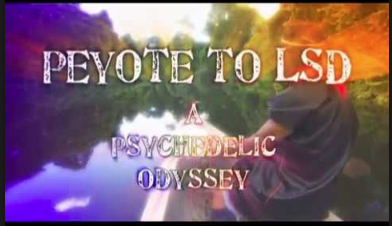 Of the many documentaries that use the popular format of following a group of people to Peru to do ayahuasca, this one is the best. Accurate information, fair and balanced, and beautifully shot. Aubrey made it for his high functioning audience of type A people. The film features Dr. Dan Engle, EA’s medial consultant. Dr. Dan also co-facilitated a the EA Machu Picchu Mastermind in 2015. This is the one to share with friends and family who you want to understand what you are going to do. I want you to see this because it will provide you with a solid cultural and historical context for the use of plant medicine to heal and expand consciousness. 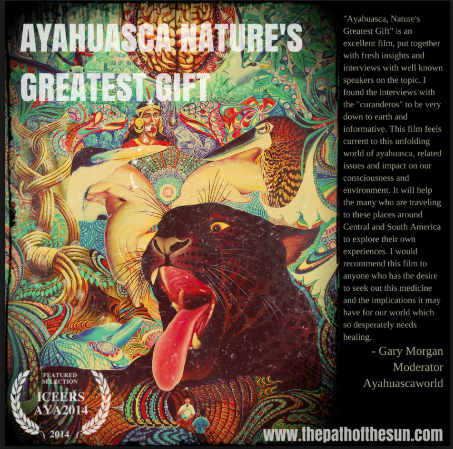 There are many documentaries on the page, choose the one called AYAHUASCA: NATURE’S GREATEST GIFT for $5. Of all the documentaries on the history and renaissance of ayahuasca, this is the best one by far. It is the most objective and takes a look at the science as well as the traditional Amazonian cultural behind its use. 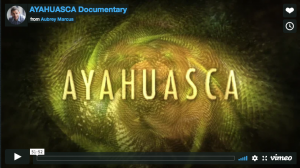 After watching this you will have a well rounded 101 education on Ayahuasca. This film is entertaining, informative, and uniquely neutral with regards to its position on ayahuasca. Most documentaries on the subject are very subjective and fairly evangelical, and for that reason, I will not recommend them. My only hesitation in sharing this is that the shaman in this film is uncharacteristically egotistical. Frankly, he comes across as a jerk. I would never work with a shaman with his personality. I would not recommend working with anyone who has a personal agenda and egotistical demeanor as this guy clearly does. As it turns out, a year after this documentary someone died in one of his ceremonies – likely from walking into the jungle unsupervised while out of his mind. (You can’t die from Ayahuasca or San Pedro). A big scandal ensued and the retreat center was shut down. Such a tragedy! I will also add that in my years of experience leading people to this medicine I have never known anyone to make dramatic 180-degree decisions about their life direction as the main person in this film does. His case is very unique. Don’t worry, you will not sell everything and move to Peru. Enjoy Stepping Into the Fire.